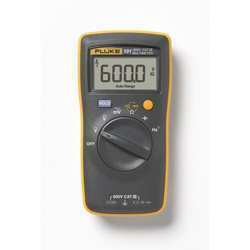 We are engaged in trading,supplying and wholesaling a gamut of Measuring Instruments. Our range is in high demand and is sourced from the most prominent manufacturers of the industry. 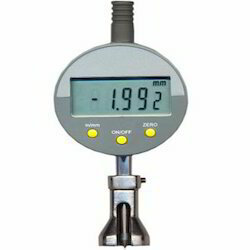 We also deal in Mitutoyo products like Mitutoyo Vernier, Mitutoyo Micrometer, Mitutoyo Height Gauge, Mitutoyo Digital Caliper etc. We offer these at market leading prices. Our clients’ can avail from a wide range of Tyre Tread Depth Gauge Big Base, which is manufactured by the leading manufacturers of the industry. These are in high demand and are processed as per the set industry standard. Further, the range offered by us is appreciated for its high precision level and accuracy. 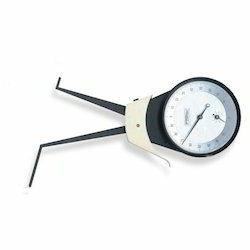 Our range comes with extra large base in order to gauge the big size tires. These are available at industry leading prices. 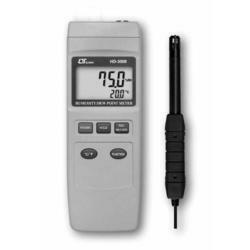 We are one of the leading wholesale trader & exporters of Thickness Gauge. 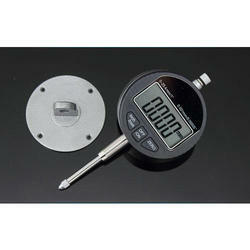 We are offering Leather Thickness Gauges to our clients. 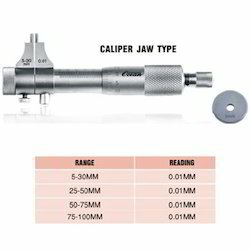 The range of Dial Caliper Gauge offered by us is used to check the wall thickness of any hollow items. Our range is available with least count .01 mm digital type. We procure these from the authentic vendors of the industry. Further, we ensure to meet the requirements of our clients’, hence we get the products customized accordingly by our vendors. The range of Surface Profile Gauge offered by us is used to check Crest & Trough of Surface. . we are also trading Digital and Analog gauge. Our range is in high demand in the market and is appreciated for its unmatched quality features. We offer these at competitive prices. 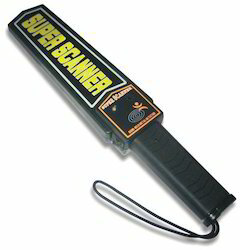 We have two models of Metal detectors: One with Rechargeable Batteries for regular use and other without it. 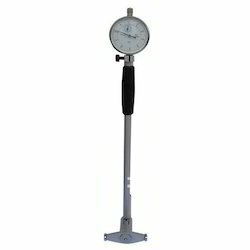 We are one of the leading wholesale trader & exporters of Dial Bore Gauge. A range of interchangeable anvil pieces (for the telescopic part of the gauge) that transfer their movement to a freely moving rod. 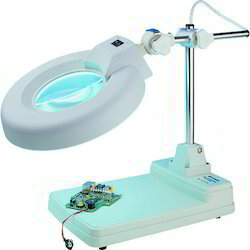 We are one of the leading wholesale trader & exporters of Illuminated Magnifying Glasses KO2. Position the lens so that it is a proper distance from the work area, yet Close enough to your eyes ( about 8” to 10”) so that you have the maximum magnification without distortion. Do not lean back away from the lens to Increase magnification. Chair height and work surface should be positioned so the operator can Maintain good posture while working. 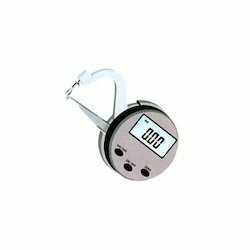 We offer our clients a wide array of Tyre Tread Depth Gauges. These are precisely fabricated as per international standards with excellent quality functioning. 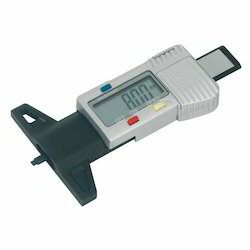 These are widely used for measuring general tyre wear of range up to 0-60 mm. 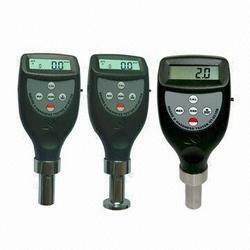 Our clients can purchase customized solutions of these gauges as per their requirements at most competitive prices. 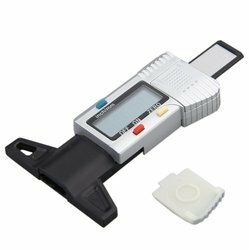 We are one of the leading wholesale trader & exporters of Digimatic Indicators. 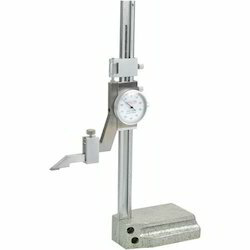 We are one of the leading wholesale trader & exporters of Dial Type (Dual Needle) Rubber Hardness Tester. 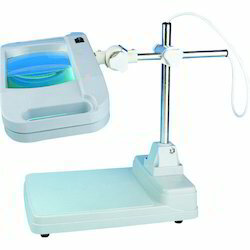 We are one of the leading wholesale trader & exporters of Magnifying Glasses K01. 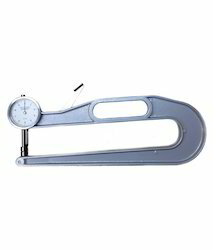 Our organization is one of the reputed wholesalers and traders of an extensive range of Height Gauge. In order to ensure its accurate functioning, this product undergoes through various quality tests at our vendor's end. Our range is acknowledged for its perfect finish, durable nature and high performance. We procure these from the authentic vendors of the industry and offer them at competitive prices. 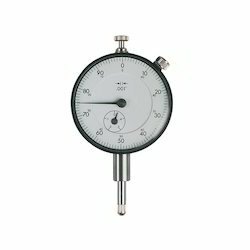 Dial Indicator is an instrument to measure small linear distances accurately. A wide range of applications like checking run out, height, depth, bore measurements. Slip Gauge Box is a block of metal or ceramic with two opposing faces ground precisely flat and parallel, a precise distance apart. Standard grade blocks are made of a hardened steel alloy, while calibration grade blocks are often made of tungsten carbide or chromium carbide because it is harder and wears less. Gauge blocks come in sets of blocks of various lengths, along with two wear blocks, to allow a wide variety of standard lengths to be made up by stacking them. The length of each block is actually slightly shorter than the nominal length stamped on it, because the stamped length includes the length of one wring film, a film of lubricant which separates adjacent block faces in normal use. This nominal length is known as the interferometric length.In use, the blocks are removed from the set, cleaned of their protective coating (petroleum jelly or oil) and wrung together to form a stack of the required dimension, with the minimum number of blocks. 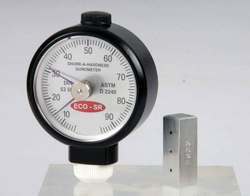 Gauge blocks are calibrated to be accurate at 68 °F (20 °C) and should be kept at this temperature when taking measurements. This mitigates the effects of thermal expansion. The wear blocks, made of a harder substance like tungsten carbide, are included at each end of the stack, whenever possible, to protect the gauge blocks from being damaged in use. Gauge blocks (also known as gage blocks, Johansson gauges, slip gauges, or Jo blocks) are a system for producing precision lengths. 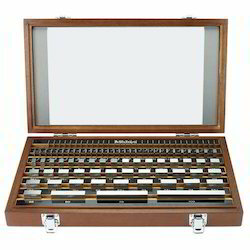 The individual gauge block is a metal or ceramic block that has been precision ground and lapped to a specific thickness. Gauge blocks come in sets of blocks with a range of standard lengths. In use, the blocks are stacked to make up a desired length.An important feature of gauge blocks is that they can be joined together with very little dimensional uncertainty. The blocks are joined by a sliding process. Measurement data can be stored, browsing and batch printing. 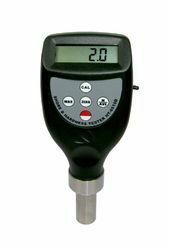 EHS series Digital Durometer is Suitable for measuring the hardness of rubber, plastic and other non-metallic materials. 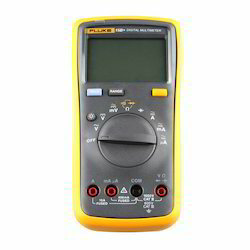 Measurement mode: Averaging mode, Max Mode, Max-Average mode. 1All ac, Hz, and duty cycle are specified from 1 % to 100 % of range. Inputs below 1 % of range are not specified. 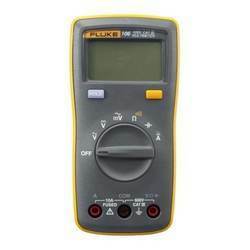 2Typically, open circuit test voltage is 2.0 V and short circuit current is 3Specifications do not include errors due to test lead capacitance and capacitance floor (may be up to 1.5 nF in the 40 nF range). We are known in the market as one of the leading providers of these Blade Micrometre. For the purpose of living up to this reputation, we acquire these products from vendors who believe quality is their priority. rubber, plastic and other non-metallic materials.